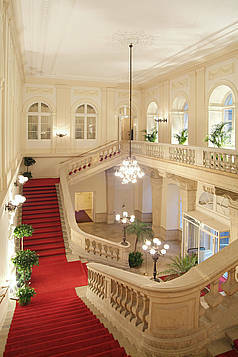 The Vienna Hofburg is Europe's first address for conferences and events. 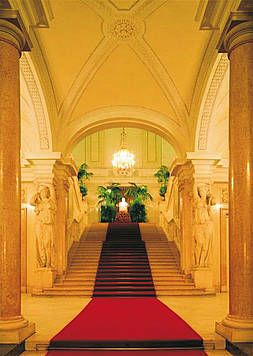 Vienna is one of the world's most popular conference destinations, one of the sites of the United Nations, an international music capital and a junction for European business and culture. The conference centre at Hofburg Palace is within walking distance of nearby stores, boutiques, hotels, restaurants and all the downtown sights. Hofburg Imperial Palace has housed some of the most powerful rulers in European history, including the Habsburg dynasty, monarchs of the Austro-Hungarian empire. Located in the city centre, it was the Habsburg´s principal winter headquarters, while Schönbrunn Palace was their preferred summer residence. The Hofburg area has been the documented seat of government since 1279 for various empires and republics and currently serves as the official residence of the Federal President of the Republic of Austria. The Hofburg has been expanded over the centuries to include residences, museums, the Imperial Library, the treasury, the national theatre, the riding school, the horse stables, and the Hofburg Congress Center. 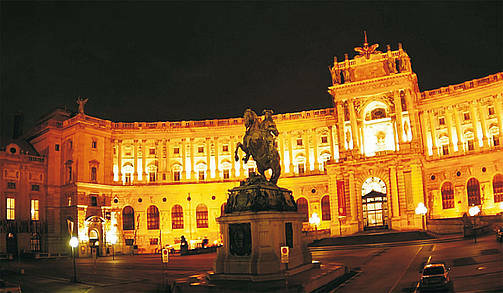 Vienna offers many possibilities for entertainment and education. In Vienna, the Imperial City, you can walk in the footsteps of the Habsburgs, visit the splendid baroque Schönbrunn Palace and the Spanish Riding School, or stroll along the magnificent Ring Boulevard and take a look at the heart of the former vast Habsburg Empire, the Imperial Palace. In Vienna, the Metropolis of Music, you can strike the right note at first-rate concerts and enjoy an unrivalled selection of music - from opera to musical. More famous composers have lived here than in any other city - in Vienna, music is literally in the air: Waltzes and operettas have their home here, and so do musicals "made in Vienna", which have conquered international audiences. In the capital of coffeehouse culture, you can enjoy a golden Mélange and Apfelstrudel in one of the famous Vienna coffeehouses, second home to artists and thinkers such as Arthur Schnitzler, Gustav Klimt, Adolf Loos and even Leon Trotsky. Note that the Mercer Survey once again ranked Vienna (together with Vancouver) first for quality of life in 2010.